I really can’t wait to see what you do with this build. 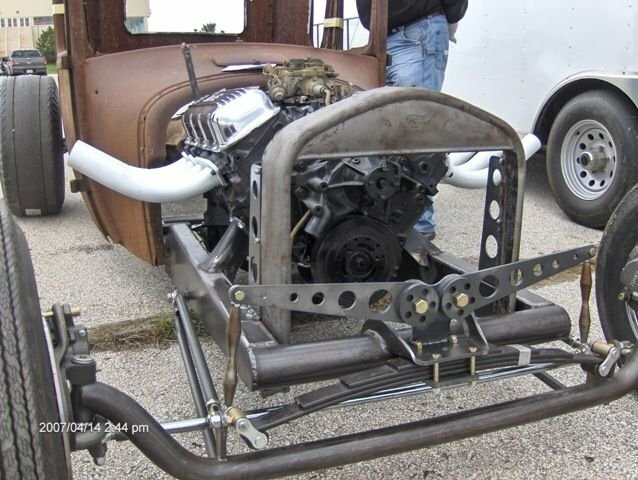 I love rat rods like this. Perfect. I just ordered a Hilborn scoop maybe we can tap. The front end looks better already! Yeah, the Ghia is inches wider anyways so it'd have to be modified to fit. Let me know if you want some measurements or pics. I have 2 dashes that need to go . 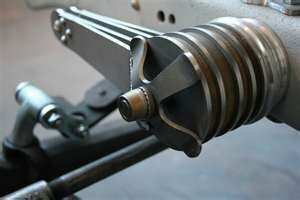 I just looked at the front end pics again and it might be possible to fit a pair of shock from the center spring mount to the axle at say 60 degrees with lower mounts just below the cross beam to get enough length. That might be enough to help stop the front end bounces and would be least visually obtrusive. Damn, I just saw this and it's 4 pages already! And here I was wondering when you would post more pics.... lol Rad! Ive always enjoyed the look of mechanical friction shocks on that style of hot rod. Granted they wont perform like hydraulic units and there will be no difference in compression vs rebound damping, but they look neat. Simple to build too, flat plate with friction material sandwiched between and a spring and bolt to vary damping. I think early stuff used leather between the plates.